Cato.org is running a piece that originally appeared at CNN. 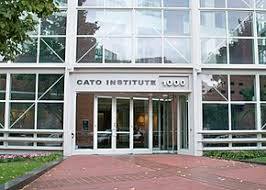 It was written by Jeffrey Miron who is director of economic studies at the Cato Institute and the director of undergraduate studies in the Department of Economics at Harvard University and Ryan Bourne, the R. Evan Scharf Chair for the Public Understanding of Economics at Cato. History was kind to Hayek’s worldview. The United Kingdom, Sweden, and India tested socialistic planning without sustained repression. This is playing right into the socialists' hands. It implies that socialism doesn't necessarily lead to repression. While the above-named countries may have experienced significant interventions in the capitalist system, it is absurd to claim they "tested" socialist economic planning. There is no doubt that there was repression in the sectors where the governments intervened in markets. But it is truly absurd to call the interventions "socialist economic planning." They were interventions within a capitalist system. Murray Rothbard once asked Ludwig von Mises at what point on the spectrum of statism is the point that designates a country as "socialist." To his surprise, Mises said that there was, indeed, a clear-cut delineation: The Stock Market. Mises said, "A stock market is crucial to the existence of capitalism and private property. For it means that there is a functioning market in the exchange of private titles to the means of production. There can be no genuine private ownership of capital without a stock market: there can be no true socialism if such a market is allowed to exist." The Stockholm Stock Exchange was founded in 1863. The Bombay Stock Exchange was established in 1875 and is currently the 10th largest in the world. The London Stock Exchange was founded in 1571. They were in operation during the period (the 1930s and 1940s) Miron and Bourne claim socialist central planning was "tested" in these countries and they are in operation today. The rest of the essay dances back and forth between the idea of governments that own and operate the means of production, control prices, and plan where and how production takes place versus interventions within a capitalist system. They seem to marginally recognize the difference but the start of the essay is absolutely incorrect. Repression occurs at the point of any government intervention and if it is full out socialist economic planning, it will, as Hayek warned, result in the total destruction of freedom.